We have reserved several rooms for anyone who wants to stay in downtown Lakeland. It is across the street from the ceremony and reception site. 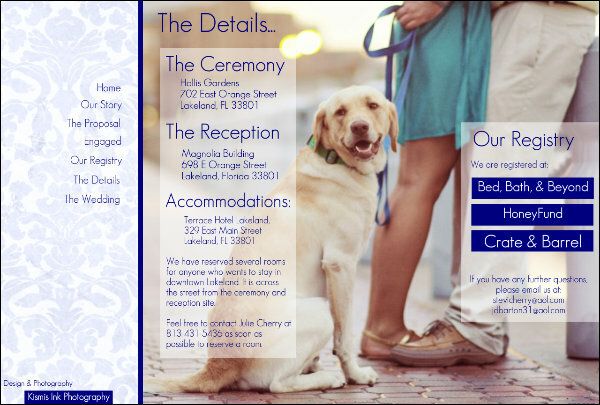 Feel free to contact Julie Cherry at 813-431-5436 as soon as possible to reserve a room.